Norbert Herman Rohrs, age 88, of rural Wauseon, OH, passed away peacefully from a 20 yr. battle with Multiple Myeloma, with his loving wife and family by his side, on Thursday, April 4, 2019. Born on December 7, 1930, at the home of his parents in Liberty Township, Henry County, Ohio. Norbert was the son of Carl and Erna (Drewes) Rohrs. He was baptized and confirmed at Emanuel Lutheran Church in Napoleon, Ohio. He was a graduate of Liberty Center, class of 1949. Norbert enlisted in the Army in February of 1951 and served in the Korean War. While on furlough, he married his high school sweetheart, Shirley (Proudfoot) Rohrs, on July 29, 1951, and they were married almost 68 years. He and his wife farmed the family farm, along with having a hog operation and raising tomatoes. 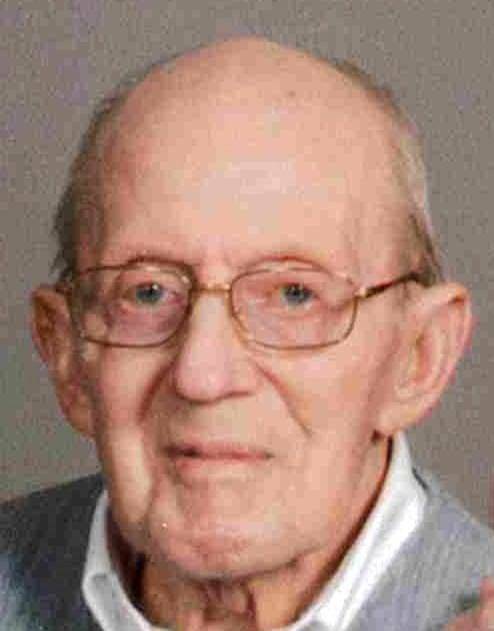 Norbert was a member of Trinity Lutheran Church in Wauseon for over 50 years. He was a lifetime member of the Wauseon American Legion Post 265, Liberty Center VFW Post 6596, Fulton County Farm Bureau, Ohio Farmers Union, Farm Bureau Council, Fulton Co. Pork Producers, and the Neighborhood pepper club. Norbert enjoyed hunting with his sons and traveling. Norbert is survived by his wife, Shirley; children, Rodney (Lisa) Rohrs of rural Wauseon, OH, Richard (Joan) Rohrs and Kathy Rohrs Schwenkmeyer of rural Liberty Center, OH. Eight grandchildren; 11 great-grandchildren; and sister-in-law, Janice Rohrs of rural Liberty Center. He was preceded in death by his parents; sister, Rozella Slee; an infant sister; brothers, Arthur C. Rohrs and Vernon W. Rohrs; and one great-granddaughter. Funeral services will be held at 11:00 AM on Monday, April 8, 2019, at Trinity Lutheran Church in Wauseon, with Pastor Roger Marlow, officiating. Interment will follow at Zion Cemetery, York Twp., Wauseon, OH, where military honors will be accorded by the Liberty Center VFW Post 6596. The family will receive visitors on Sunday, April 7, 2019, from 4:00 PM until 8:00 PM, also at Trinity Lutheran Church. The family suggests memorial contributions be given to Trinity Lutheran Church, Wauseon, OH. Online condolences to the family may be offered at www.GrisierFH.com. The Edgar-Grisier Funeral Home in Wauseon is honored with Norbert’s care and arrangements. Be the first to comment on "Norbert Rohrs (1930-2019)"